The Bosca tub is the embodiment of simplicity and comfort. The clean lines of its cubic shape quickly draw your eye into the extra-long bathing well, coupled with a generous 30-inch width, bathers have plenty of room to stretch their legs and recline in the tub's built-in 70-degree lumbar support. A sleek curvaceous design and installation simplicity make the Delsia freestanding bathtub an ideal choice for your bathroom. The minimalist design is highlighted by clean, simple lines with a maximized bathing well and comfortable backrests. With its clean lines and oval shape the Delsia is a treat for the eyes and can transform any bathroom into a refined and stylish space. 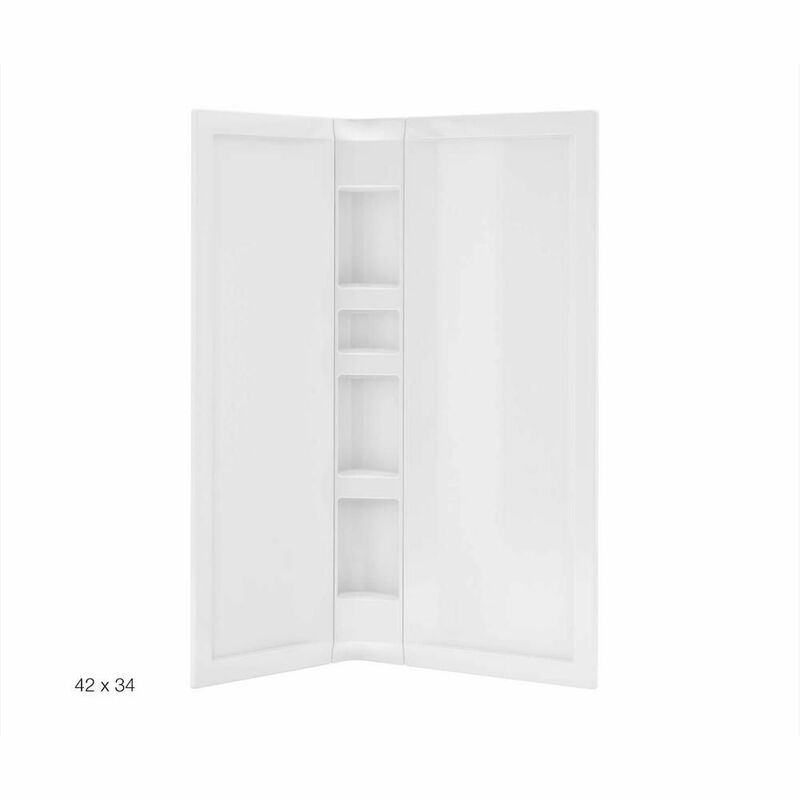 3-Piece Acrylic Wall Set White is rated 4.0 out of 5 by 1. Rated 4 out of 5 by Cat42 from Love the shower A recent renovation, and it looks great! So glad I waited for this particular shower. Do these walls attach to finished walls or direct to stud? This product is designed to glue to drywall or other backing. Can grab bars be mounted on these walls? Does this wall work with the&nbsp;Sakura Neo-Round 38 inch x 38 inch x 74.5 inch Shower Kit?